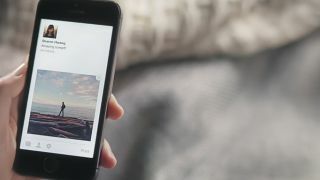 The iPhone-exclusive, US-only Facebook Paper app may never come to other platforms, like Android and iPad - and if it does, it won't be any time soon, the social network has confirmed. "We're a small team and are excited to see how people use this and what their feedback is," a spokesperson told Pocket-lint. As the site points out, that makes it sound like a sort of testing ground for Facebook design, as in, if the feedback to Facebook Paper is positive, Facebook apps across all platforms could theoretically implement a similarly improved layout. Besides, the team working on Facebook Paper in Facebook's experimental Creative Labs only has 15 members, and that feedback really will be key before they "expand," the company said. Facebook Paper took everyone by surprise when it was announced at the end of January, mostly because it's so much better than the Facebook news feed we've come to know. But while fans have called for Facebook to port the app to Android and iPad - not to mention release it outside the US - those pleas are apparently falling on deaf ears. After how stale Facebook is beginning to look and how much ire the company drew in 2013 with moves like news feed ads and Facebook Home, you'd think they'd jump at the chance to provide users with something they actually want. It's a bit ironic, isn't it? Still, if Facebook Paper's try-outs on US iPhones result in positive changes across every platform and region, then the wait just may be worth it. At least you can use Facebook Paper with your shiny iPhone 5S - follow the link for TechRadar's review of Apple's latest flagship!